We have the most advanced and amiable ChatBots on the internet. We custom conform our support bots and virtual assistants to your user needs according to specially developed algorithms. 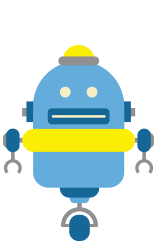 Our carefully tuned bots will have you convinced…that they are better than a human. Our cheeky messenger chatbot’s friendly service can entertain and educate while providing guidance to visitors on your Facebook page while enhancing click-throughs to your main site’s landing page or sale pages. The web friendly chatbot can be used on any website to interact with guests while relaying FAQ’s or education about your product from across the internet. This bot has the same functions as the messenger bot with added reach. A bot like no other, Brainy ChatBot applies the special algorithms present in all of our bots along with a super computer powered personality that can handle tech support or reception duties like a real pro. The perfect employee!